Whoop!! Bond with Karla is 9 years old today! I can’t believe it has been that long. So many of you have followed me the entire 9 years and know I have changed directions a few time. Thanks for hanging in there. One person that I have been with for 9 years is 4B Consulting. They are my web host and Alaina Frederick is absolutely amazing. Hardly ever have issues with my site and if I do, she is there in a flash to help me out. 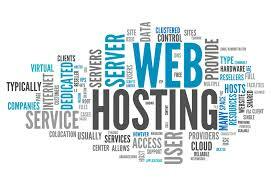 So for my 9 years with 4B Consulting, Alaina is giving someone 3 months worth of FREE web hosting. This is HUGE. If you have been debating on starting a site for whatever reason, get in on this giveaway today! It’s today only and ends at Midnight today! Hi, karla. My website is a blogging website and I’m currently with Godaddy. Hoping to win the hosting!! !